Extremely high performance fluid for motorcycle and scooters ridden to high standards. It's exceptionally high boiling point prevents the formation of steam bubbles under heavy operating conditions. Exceeds Dot 4 SAE J1704, FMVSS 116-Dot 4, ISO 4925 (Class 4) specifications. 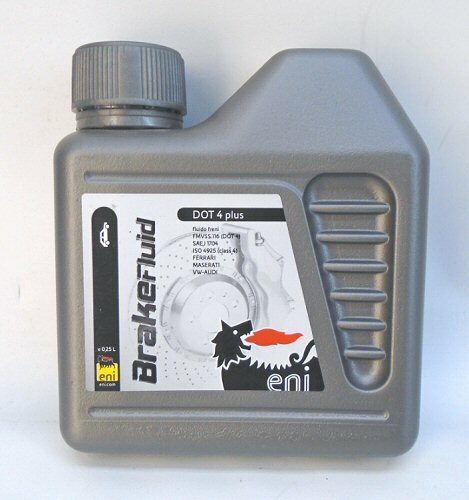 From 2008-2016, AGIP/Eni Oil, AGIP/Eni Lubricants, and AGIP/Eni Coolants are recommended for all Aprilia, Moto Guzzi, Vespa, Piaggio products.